Get the rewards card that puts more of your hard-earned money back into your pocket. Get the rewards card created exclusively for our clients., Apply today for your choice of earning cash back or points on every eligible purchase you make. 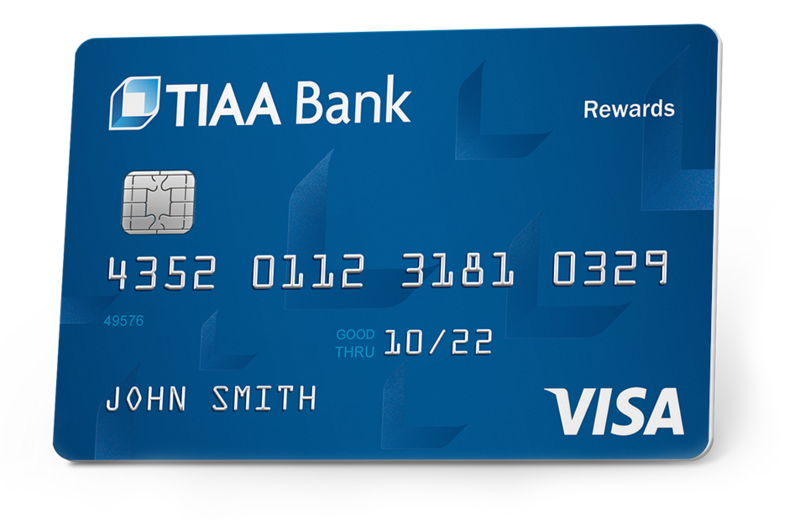 Get your hands on your new rewards credit card when you open a TIAA Bank account. It’s the client credit card that gives back more than you’d ever expect. Your credit is a valuable thing. And to ensure that your credit is accurate and up-to-date, federal law entitles you to a free copy of your credit report annually from each of the three nationwide credit reporting bureaus. You can request all three of your reports at one time or space out your requests over the course of the year.